The Supreme Court has upheld parents' rights to home educate, but decisions about homeschooling requirements are left to individual states. Some states have more than one legal option under which parents can choose to homeschool. Compulsory School Age - the ages between which a child must receive formal instruction. Some states require instruction as young as age 5, and some allow delayed instructions under certain conditions. Attendance - the minimum number of hours or days a student must receive instruction. 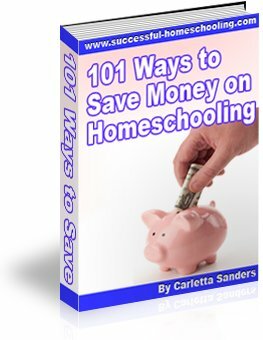 Because homeschool schedules are so efficient, homeschoolers can find creative ways to meet these requirements. At home, a child is learning whenever he or she is awake. Subjects - the subjects a student must be taught. Some states require home schools to teach the same subjects that are taught public schools. Some states require specific subjects such as hygiene and the effects of alcohol. Some states have no requirement at all. Qualifications - the criteria that must be met by a parent, tutor or homeschooling program. Some states require parents to have a high school diploma or GED. Others require a college degree, certificate or evaluation by a certified teacher. Some have no criteria at all. Here's a simple test that will assess your homeschooling qualifications. Notice - information that must be provided to notify the state of your decision to home educate. Some states do not require notice. Others require one time notice or annual notification. Records - information that must be kept regarding your home school. Some states require parents to keep attendance records, which I find odd as homeschoolers are typically at home every day. Some states require submission of a portfolio or quarterly report. Here's some information about homeschool record keeping. Testing - tests that must be taken periodically to assess a child's progress. Some states simply require students to be tested, some states require the students to be tested and report their results, and some require students to be tested, report the results and develop an action plan if a specific score is not achieved. Here is a closer look at homeschool testing. Though homeschooling requirements vary from state to state, studies have shown that there is no correspondence between the level of government regulation of homeschoolers and children's academic performance. For details about your state's laws, visit the Homeschool Legal Defense Association's website.